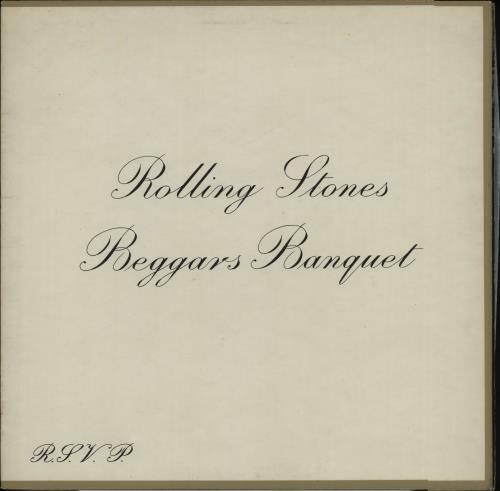 ROLLING STONES Beggars Banquet (Early 70s [circa 1970-72] UK variant of the third issue 10-track stereo LP, originally released in 1968, on the blue 'boxed' Decca logo label with the 'Speed 33 1/3' above the 'Mirage Music' with 'BIEM/NCB' box below (there is also a full stop in the catalogue number 'SKL.4955' and the matrix printed the correct way in brakets), front laminated gatefold picture sleeve manufactured by Robert Stace. The sleeve displays only light signs of wear & the vinylis Excellent & shows little evidence of play. A nice example and the first example of this label design we have seen). 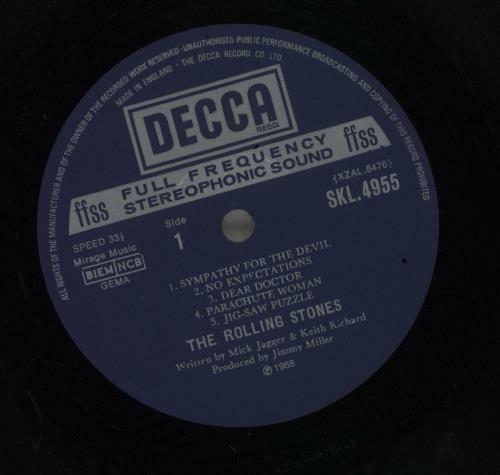 or visit our Rolling Stones image gallery.